Please describe your query and we'll respond as soon as we can. from tea rooms to five star hotels. 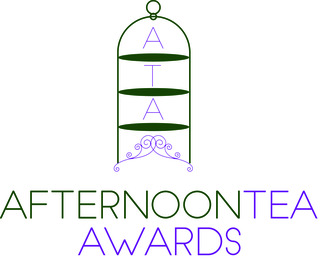 Launched in 2016 the Afternoon Tea Awards are now an established annual event, respected by industry professionals and afternoon tea lovers alike. Once again, in 2019, we invite establishments throughout the country to nominate themselves for independent judging, in the hope of winning one of the prestigious awards, which celebrate the best in Afternoon Tea food and service, from tea rooms to five star hotels. All entrants will have the opportunity to receive a commended or highly commended certificate, in recognition of their outstanding Afternoon Tea service. Our independent judges have been selected for their skills and experience as professionals in the hospitality industry or their knowledge of afternoon tea food, drink and service. The 2019 entry fee is £300 (+ VAT), which covers the cost of the independent judges, expenses and administration. All entrants will be invited to attend the award ceremony in London in September. Read more about last year's Afternoon Tea Awards here. Your aim is to deliver most customer's expectations of a traditional afternoon tea menu. Served on a three tier stand, with classic finger sandwich fillings, such as cucumber, egg mayonnaise with cress, smoked salmon with cream cheese and ham and mustard. Scones, plain and raisin, served with jam and cream, along with a selection of cakes that won't upset your grandmother. You should only enter one of the two main categories, ie EITHER 'Best Traditional Afternoon Tea' OR 'Best Contemporary Afternoon Tea'. Entry to a main category is £300, then £50 each per additional category. You are deliberately trying to break the 'traditional' mould by creating a modern twist, while still working within the three course structure of savouries, scone and deserts. Sandwiches might be replaced with brioche, tarts, wraps or crostini. Scones might have fruit or savoury ingredients, accompanied by unusual jams, curds or sauces. You might have dispensed with the 'three-tier' presentation in favour of bespoke crockery, slates or platters. Do you have a tea sommelier, tearista, or staff who pride themselves on their knowledge of the teas you serve and their ability to recommend them to accompany specific foods? Do you offer a tea tasting option, offer an extensive range of teas, or serve rare teas? All aspects of the menu and presentation have been created with a specific theme or ingredient in mind. For example a chocolate tea, where aspects of chocolate have been incorporated into both savoury and sweet items. A 'fashion' or character inspired menu, where table decoration, menus, crockery and food are all designed around the same theme. An international cuisine inspired menu, such as Asian or Mediterranean, would also fit into this category. Please contact us if you have any questions about the awards or for any press and media enquiries. Validation Error! Some required fields are missing.